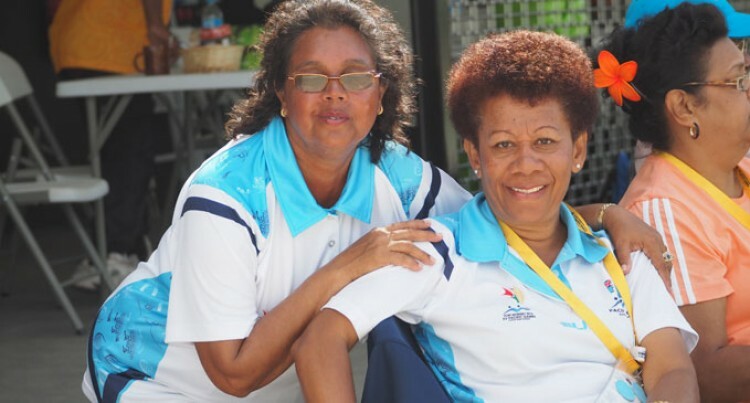 The Fiji men’s bowling trips team won their third gold at the 2015 Pacific Games yesterday. David Aitcheson, Arun Kumar and Rajnesh Kumar edged Papua New Guinea 15-14. PNG had a good start in the first two rounds, but hats-off to the Fijian bowlers who were focused and determined. Team manager Curtis Mar said it’s all about being composed. “It’s about doing your best that will rub off the pressure and that’s what our men did to to beat them,” Mar said. The men’s pairs; Semesa Naiseruvati and Waisea Senibici won silver after losing to Norfork Island 16-23. In the women’s division Radhika Prasad won bronze medal after defeating Niue 21-3 and the fours team led by Litia Tikoisuva, Elizabeth Moceiwai, Sheryl Mar and Sarote Hiangi won bronze. The bowling team collected a total of three gold, two silver and three bronze medals.